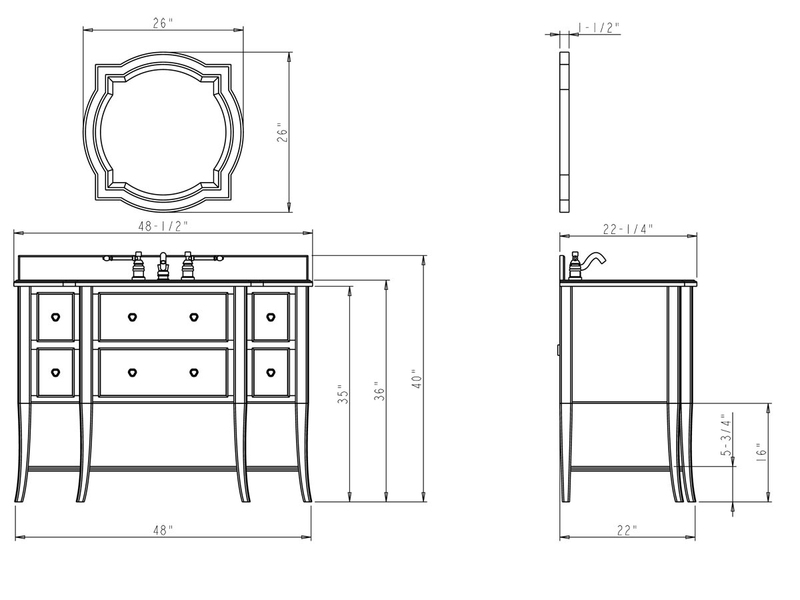 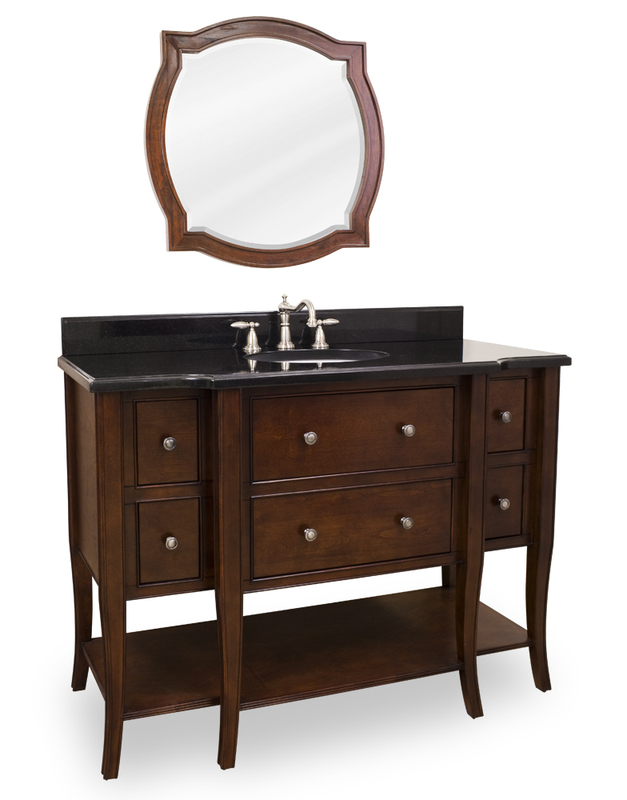 With the tapered cabriole legs and notched front design the 48" Laguna Single Bath Vanity adds traditional sophistication to any bathroom. 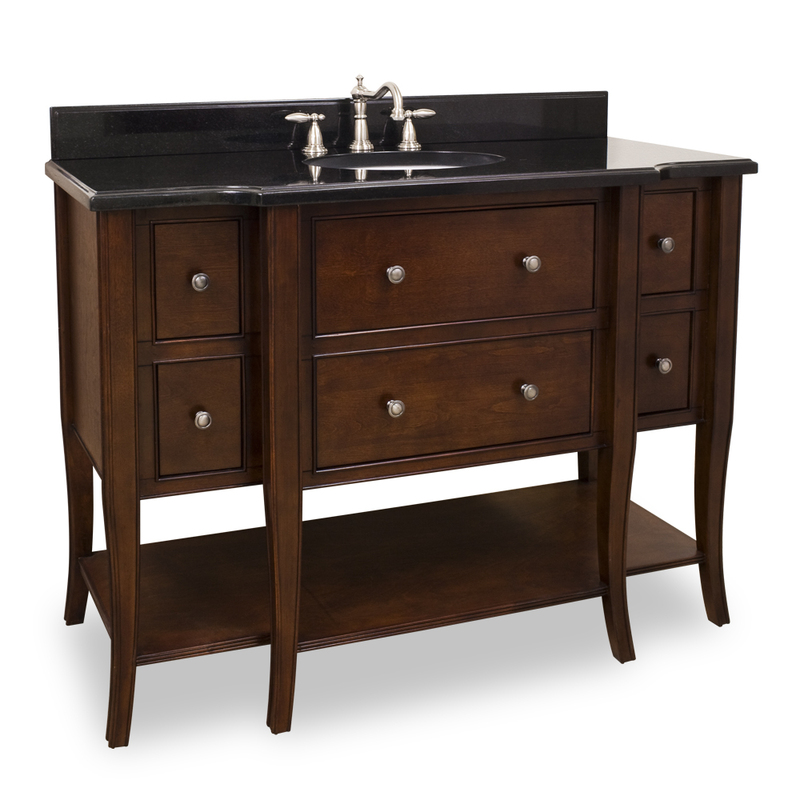 This vanity comes with an exquisite Black Granite countertop and backsplash that can removed if you so desire. 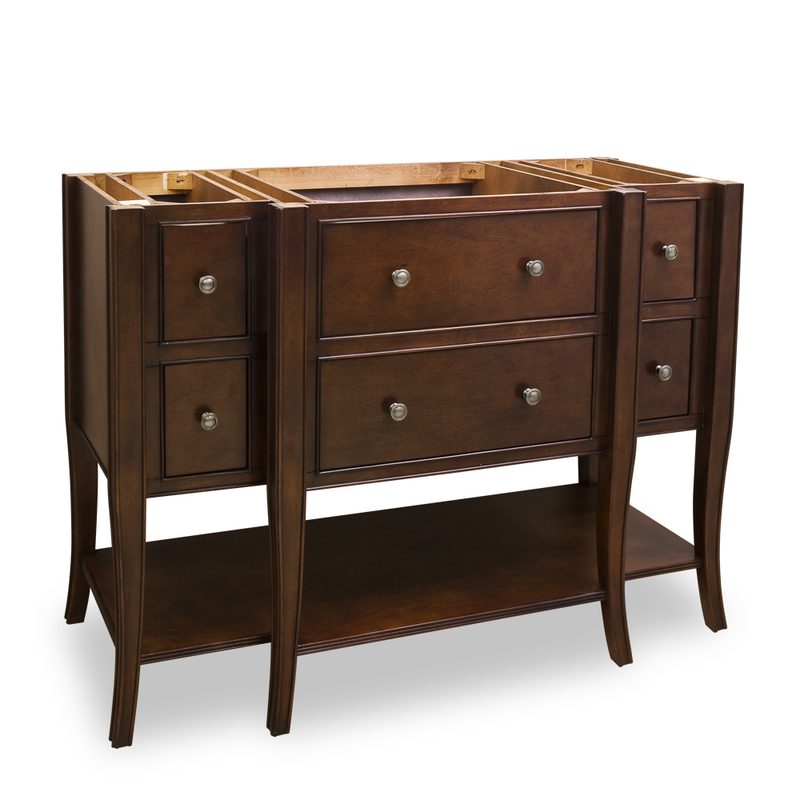 Six drawers provide ample storage space while the bottom shelf can store larger items. 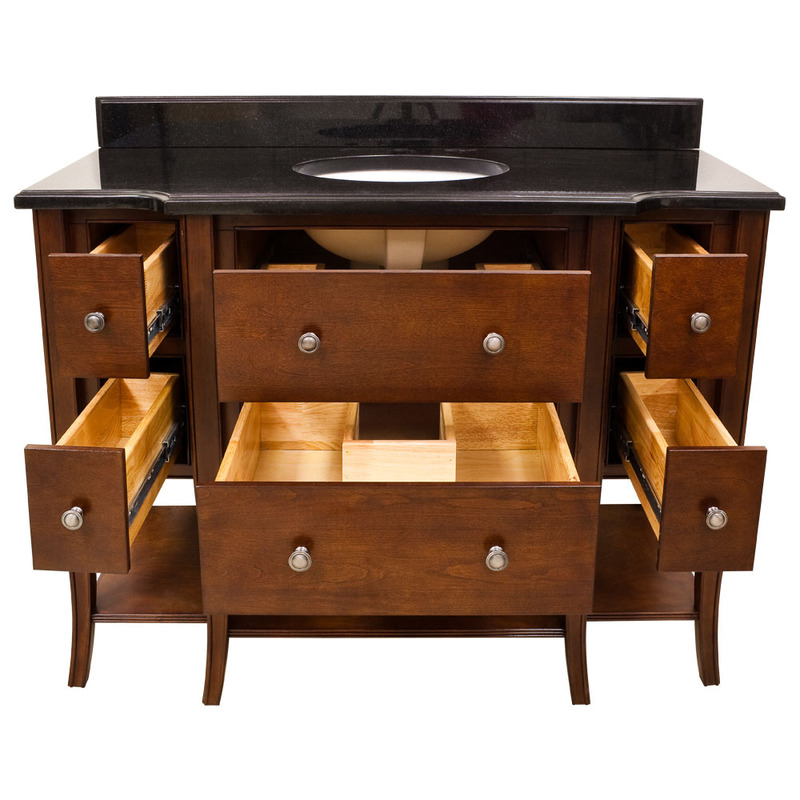 Crafted out of Birch wood and rounded off with a Chocolate finish and veneers this vanity is not only stylish but also durable. 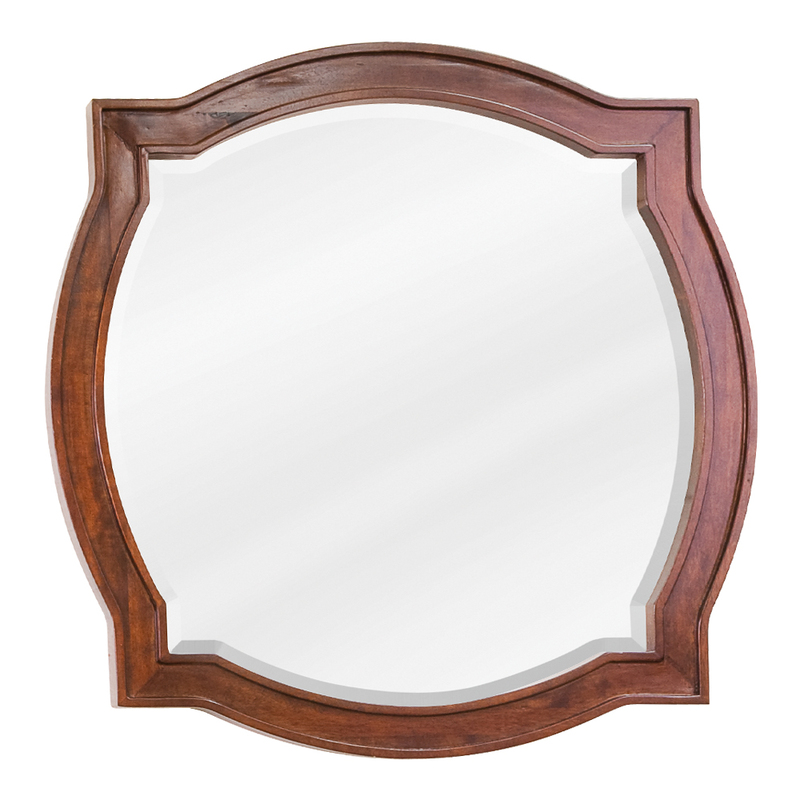 A unique matching mirror can also be purchased.